Finding work to do at the farm is never difficult because there is always so much to do. 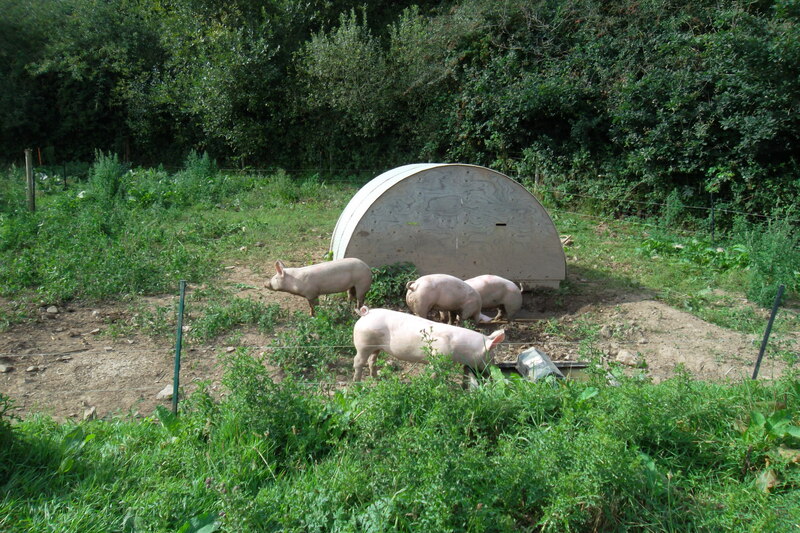 Today (Monday 18th August), we decided to move the new weaner pigs from the barn into the field. 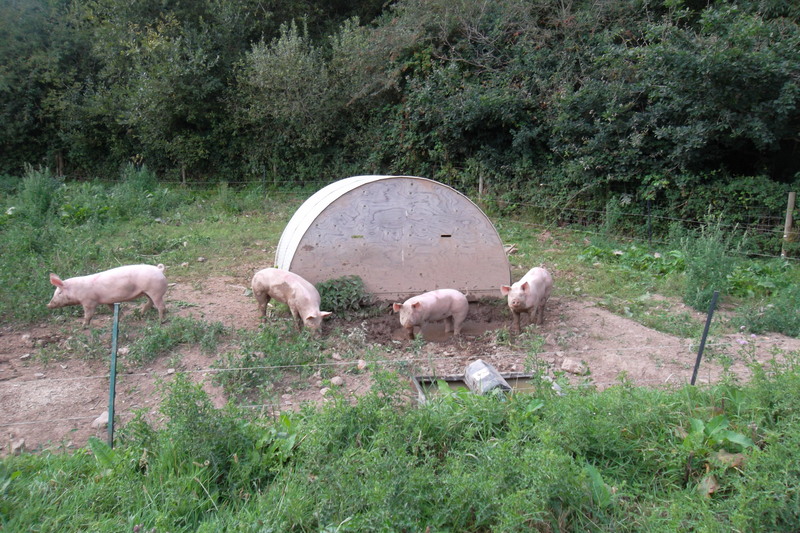 Moving 4 excited pigs can be highly amusing and today it certainly was, one of them is very stubborn! To see them outside, running around eating the plants, digging their noses into the soil and wallowing in the mud is very rewarding. 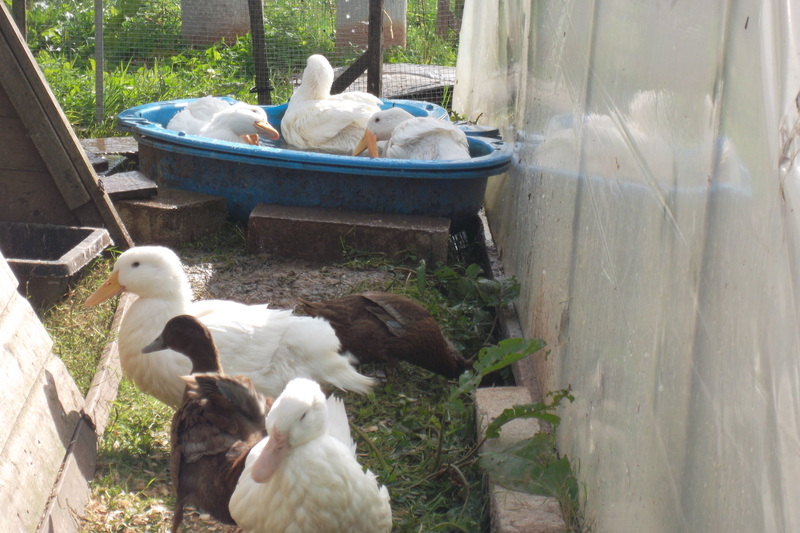 The ducks and geese have also been moved to an area where they have fresh grass to eat. 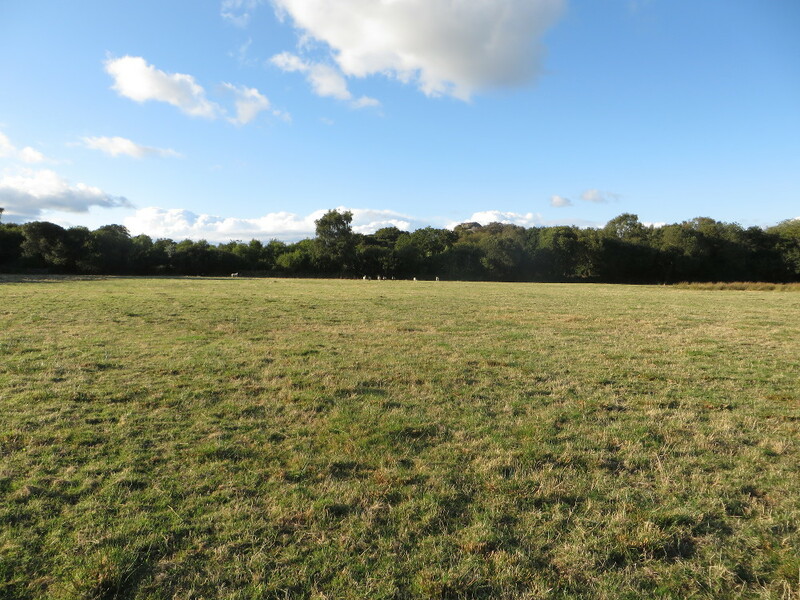 Saturday 23rd August: And finally on the moving of animals, our lambs and Calvin have also been moved to a field where there is more grass for them to eat. The rain due this weekend will be very welcome as the grass is very dry but hopefully the sun will shine once more and we can watch the grass grow and enjoy a last sunny week of our summer holiday. And a few other notes. Where are our ewes? They are in a big field on Dartmoor for the summer. You can, just, see them in the picture. The field has recently been cut for hay, the new grass is short and sweet, just how the ewes like it, which was why they were far to busy to walk over and see me…. And after we took off the honey it’s time, again, to check the bees for Varroa. The pictures shows some of the 75 or so mites (the tiny red and oval disks with legs) done for by the first two days of treatment of one of the hives. They were collected from below half the hive as they fell out – so maybe 150 in total or about 75 a day. 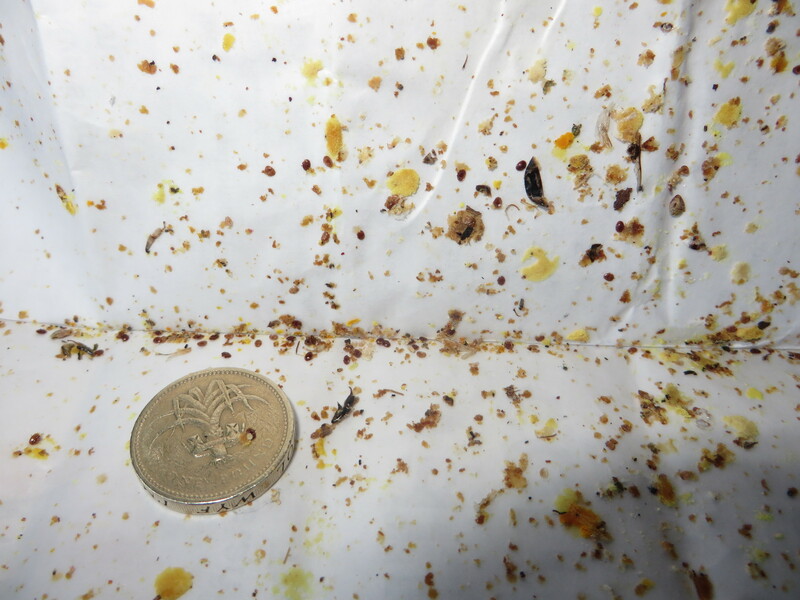 Since the treatment continues to remove as many mites for several weeks there may be several thousand mites in the hive – a dangerously high number! 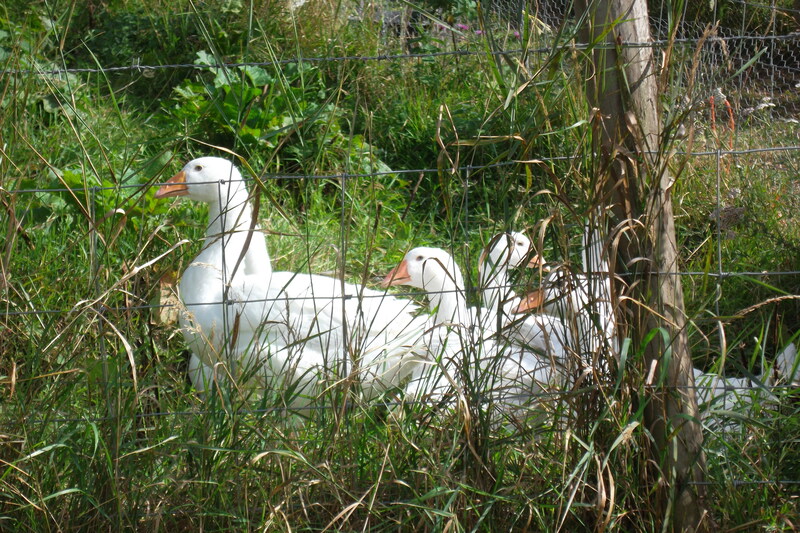 This entry was posted in bees, ducks, geese, pigs, sheep by abbrookfarm. Bookmark the permalink.